Wigwam burners. Does anyone know what they are? Or what they look like? The once ubiquitous symbol of the thriving Pacific Northwest lumber industry has almost disappeared since it was outlawed in the 1970s for environmental reasons. 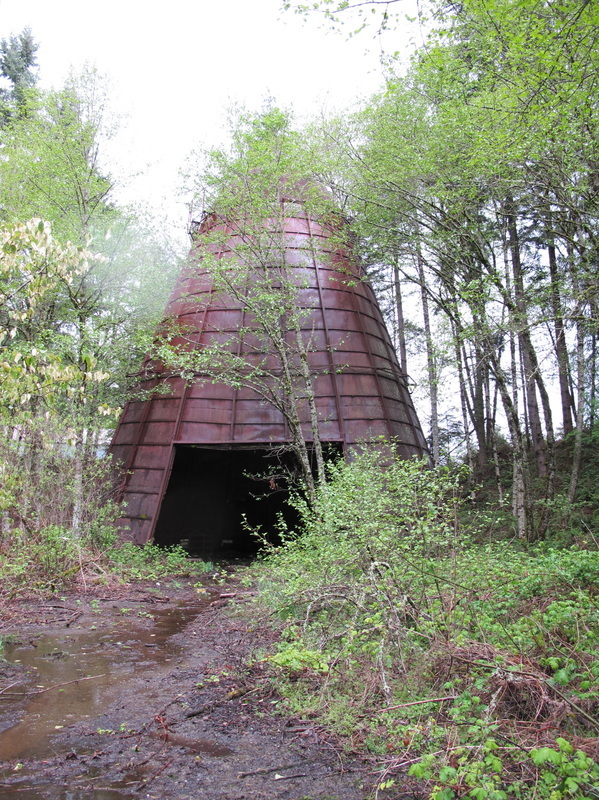 These once iconic teepee-like metal structures, up to 100 feet tall, which burned scrap lumber at the sawmills, are the feature of a documentary. Director and artist Jay Critchley was fascinated by these elegant structures that dominated the landscape while working as a VISTA Volunteer (Volunteers in Service to America) in Creswell and Cottage Grove, Oregon in the early 1970s. In 2010, he returned to the state as an artist in residence at Milepost 5 in Portland to develop this project. Featured in Fireflies in the Night: The Great American Wigwam Burner is the director’s longtime friend, Paul “Bump” BIrch of Creswell, a former logger and electrician and a well know musician/songwriter whose music is highlighted in the documentary. Also from Creswell is Curt Deatherage, owner of Curt Deatherage Auto Electric, and an avid photographer and historian who has photographed wigwam burners throughout the Pacific Northwest, California and British Columbia. The granddaddy of wigwam burners and the logging industry, Steve Stone of Portland, arguably has the most comprehensive archive and knowledge of this once thriving industry. 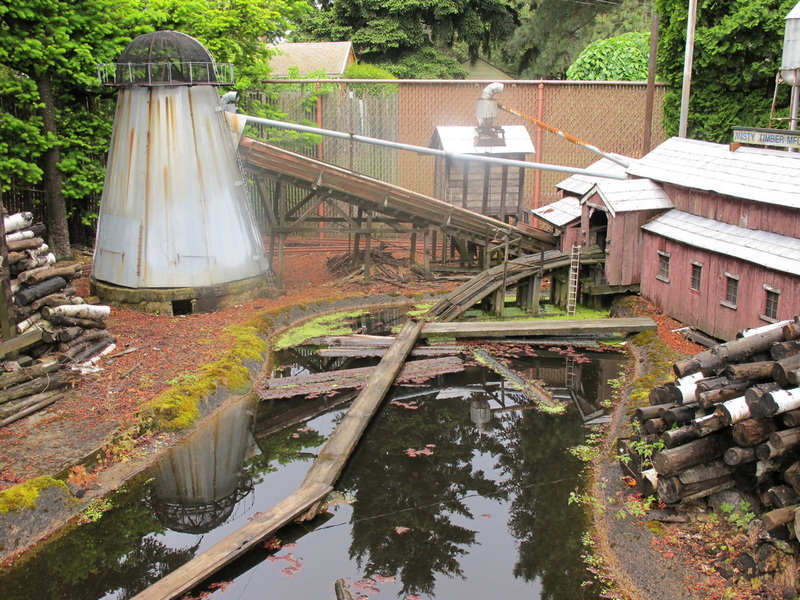 He also has built a replica model of a sawmill in his modest backyard, complete with a working train and a functional wigwam burner/barbecue. With so few wigwam burners still standing, Jay and Curt have formed an organization, Oregon Wigwam Burners Association (OWBA) , to help preserve these significant symbols of the once dominant lumber industry. The film includes images of the lumber industry and culture from archival materials and films, and captures an important era in Oregon’s history. It was screened at the Eugene International Film Festival in 2015. Long ago, well over fifty years, I must have been told or read a story about fireflies. Never in my nearly sixty years of living have I ever seen one of those magical glowing insects, except in my imagination. In 1987 I made a decision to open a business of my own, and after searching for a suitable location, I rented a shop building on an old millsite in Creswell, Oregon. 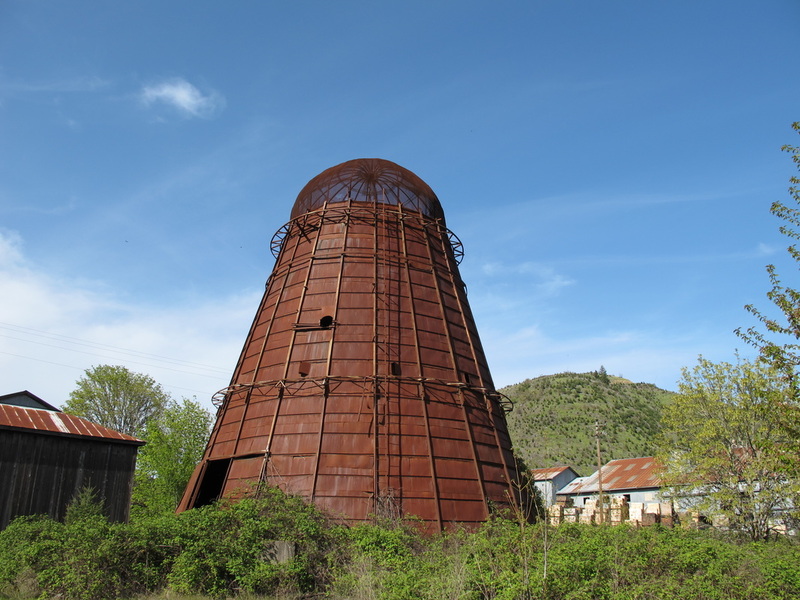 On the property stood a fifty foot tall rusty wigwam burner, one of the only remnants of the former sawmill and planing mill that once dominated the landscape. 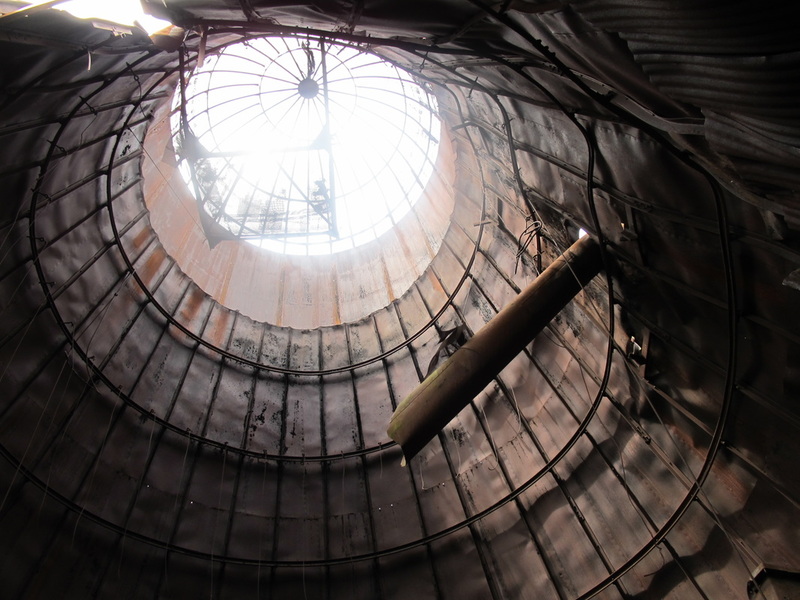 A wigwam burner, one of the colloquialisms for incinerators that were once used to dispose of the waste materials generated in wood products operations, is a term common to Oregon. The ‘teepee’ burner name is more commonly used in Washington, Idaho and Montana, while ‘beehive’ burner is common in Canadian vernacular. 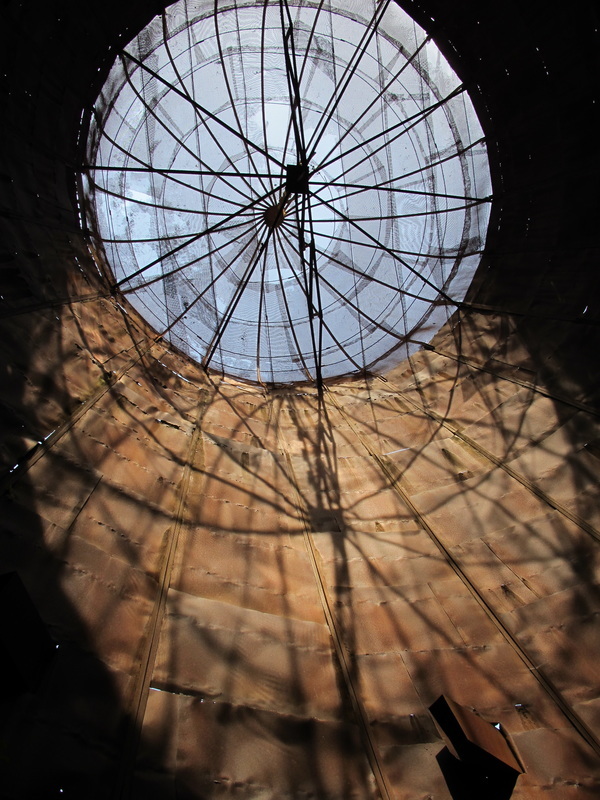 These crude devices, named for their resemblance to the wigwams of the Native Americans, were typically a cone shaped structure, from 15 feet to over 100 feet tall, topped with a screen to contain the fire. Due to the exposure to extreme heat and adverse weather, they quickly developed their tell-tale rust color. I took quite an interest in this old burner, photographing it numerous times over the years. It was a landmark when I gave directions to my business. It also became a bit of an odd attraction, as I can recall numerous people pulling down the driveway, taking a picture or two of it, and walking over and asking me what it was. They knew it was unique, but had no idea what its former use was. The old burner, built in about 1950, stood silently for a number of years until a most unique weather event occurred on December 2, 1999. I remember looking out my shop door, pondering the source of the deafening roar, when I saw swirling pieces of debris – roofing and boards blowing through the darkening skies. Seconds later I watched the wind lift the burner a foot or two from the ground and slam it back to earth. I had just witnessed a tornado, virtually unheard of in the Willamette Valley. In only minutes the wind had calmed and things were back to normal. Left in its aftermath were shattered windows, destroyed fences, damaged roofs and one bent and twisted wigwam burner. The news of the tornado certainly spread quickly, as it wasn’t long before there was a steady stream of cars in my driveway – many of the older people seemed to be paying their last respects to one of the last monuments to the former glory days of the lumber industry. Television news crews filmed the aftermath, and like tourists from earlier days, walked over – with cameras rolling, asking what that ‘thing’ was. The property owners decided that the burner needed to be removed due to potential liability concerns. While photographing and videotaping its demolition, I remarked to a couple of my friends who were there that early January morning – “Somebody should find and photograph the remaining old burners. There can’t be many of them left standing.” Although they agreed, neither of them volunteered to undertake the task. I also thought about fireflies, and somewhere in the recesses of my memory, I remembered as a child seeing one of these burners glowing in the night sky, imagining the glowing embers swirling and dancing under the screen must be what a firefly looks like. For the past ten years I have been locating and photographing these ghosts of the past, from southern California near Bakersfield to Washington, Idaho and Montana. I have befriended a number of individuals with similar interests who have assisted in the quest. This past spring I met Jay Critchley, an artist from Provincetown, Massachusetts who has burner memories of his own, and we have collaborated to form an organization to preserve these vestiges of the earlier days of the lumber industry – the Oregon Wigwam Burner Association (OWBA). We therefore, organize the Oregon Wigwam Burners Association, OWBA, whose mission is to protect and preserve the architecture, industrial sites and historic structures associated with the lumber industry, particularly wigwam burners.